Rated 5 out of 5 by HonoreDeBalzac from I really love this full game and I'm picky I bought this one and am almost done. The scenery is beautiful. There aren't a ton of horrible noises that grate on your nerves. It's nearly constant game play - TONS to do and not a lot of story. The mini games are unique and I only skipped one or two the whole game because I couldn't get what they were asking me to do. I like when you use an item but it's not the full fix so you have to find more. It's not too challenging and not too easy, items seem like they can work in a few places. I like the little helper dog, he is used sparingly and is adorable. The ONLY thing I could find wrong is that I hate being forced to listen to the story by it being included in the mini game. Otherwise, I am not sure why this has a 3 star review., it deserves a 4 in my opinion at least. Rated 5 out of 5 by bmn5772 from WINNER WINNER BIG FISH DINNER I love everything about this game. 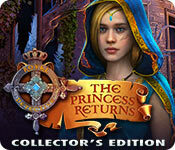 The graphics are wonderful and the hidden object scenes are fun. Enjoy! Rated 4 out of 5 by Yurnmesis from Trial: Mini Games Galore! Great Graphics! Attention to Detail! Overall: Beautifully crafted game, attractive characters, multiple Mini Games, several Hidden Object Games, both well designed. Bad royal guy wants good princess’s magical abilities. Princess can turn statues into animated objects and they seem to work. If this wasn’t a Mini Game focused game I would buy it. The story is probably predictable; princess loves prince but keeps their relationship secret, bad guy who wants her abilities gets between them. The game moves forward with many tasks and a full inventory and requires a lot of back and forth but the hint transports and it doesn’t becomes annoying. I looked forward to the next scene since they were so well done and the story did pull me into it somewhat. A note for developers, when you have someone/something in a cage, dumped in the water, don’t make the players go on a wild goose chase to collect things to save it, poor little rock guy gurgling away hanging on with his little stone fingers. Graphics: Excellent. Gamma provided to lighten or darken colorization. Sounds: Appropriate to event/location Hints: Good and transports! 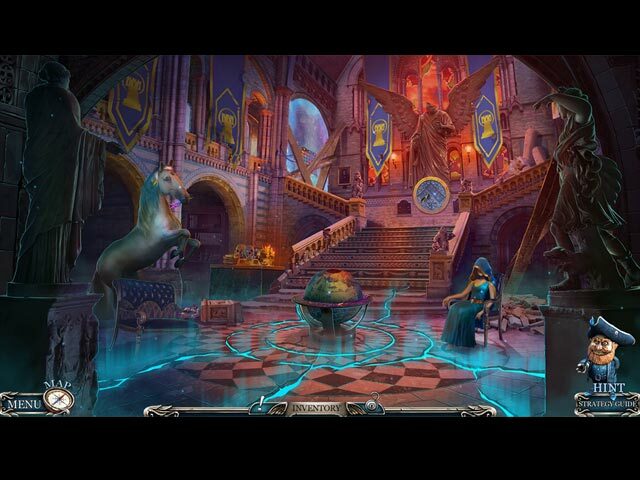 Characters: Excellent design and well-constructed Voice Overs: Well done Hidden Objects Games: Small screen pop up, full screen, wall with objections hidden throughout Mini Games: Well there were numerous compared to Hidden Object Games 11 to 4 and I might have missed counting one or two. Turn tiles match colors, move each token to picture associated with it (just shuffle them until fits) create a bridle for a hawk to fly you to castle, put brick runes in sequence shown, didn’t even see the light ups was busy reading instructions, but pretty simple, seen these before and dislike the ones that just wastes time shuffling around until everything fits. Since it appears this will be more a Mini Game than a Hidden Object Game, I won’t invest in it myself, but do recommend it for all its other qualities. Rated 4 out of 5 by spikescajunmom from Good Game with lots of Puzzles I won't go into a description of game because my fellow reviewers all did a great job and there's no reason to rehash again. I enjoyed this game and I have enjoyed most of this series. If you like puzzles, then it's for you because there are lots of them, at least in the demo. I usually don't find mini-games/puzzles that difficult in games, but this one is different. I found several of them to be quite challenging and that's one of the reasons I purchased the game. The visuals and music are very good. The story line has been done before, but is solid enough to follow. If you don't like helpers, you might stay away. However, in the demo at least, the dog wasn't in it very much so it wasn't annoying to me. Overall, it's a good game and better than most in the past few months. It's a rainy Sunday here so this is the perfect way to pass the day. Rated 4 out of 5 by biscuitsmama from PRINCESS IS BACK AND SHE NEEDS YOUR HELP! The Princess Returns is the fifth game in Royal Detective series and of course you play the game as the “Royal Detective”. You are surprised when you answer your door to find a small stone dog carrying a letter to you from your old friend Princess who asks for your help. Princess is now in the abandoned quarter of a town called Stone Peaks and she tells you that her little dog Sheriff will take you to her. Of course you immediately head off to Stone Peaks to meet Princess but when you arrive you find she is missing. Will you be able to find Princess and save her from a kidnapper whose desire is to steal her magical powers? The graphics are excellent and even though sometimes they appear a bit cartoonish they are for the most part quite good. The voiceovers are very good even though the accents are not correct for the game setting. We do have Sheriff tag along with us throughout the game to fetch and perform other tasks as needed and I didn’t find him too objectionable but that being said, I would have preferred him to be a bit softer. I did happen to find some of his antics to be cute and because he is fairly silent I didn’t notice them right away. When I tried the demo of The Princess Returns I wasn’t sure that I wanted to add this game to my collection but as I continued to play I became wrapped up in the game and couldn’t resist that “buy” button. The storyline is really nothing new but I loved the puzzles in the game. One of the first puzzles is a challenge and I think I must have spent a good twenty minutes solving it. That puzzle was one of the reasons I purchased the game. Some of the puzzles are nothing new but I haven’t seen them in quite some time so it was fun to refresh my solving skills. There is not too much to say about the HOPS except that I did find them well-designed and fairly creative with some variety in style. I enjoyed the list type HOPS since they are my favorite and I was happy to see that there are quite a few of those. Since I have been playing the game off and on most of the day I can say that I have truly enjoyed it. The game isn’t the best one I’ve played recently but it is still very good. As I noted above, the puzzles have been the best part of the game for me. I think this will be a game that will have mixed reviews as we don’t all have the same taste in games. However, I do recommend that you try the demo and give the game a fair chance because it might surprise you. Happy Gaming! Rated 3 out of 5 by dlcoyte from Not the greatest graphics on the characters Graphics were not bad for the scenery, but not wonderful at all on the characters.... Will buy when its a reg. Def not worth buying as a CE.... I did keep interest till the end of the demo though at least!!! 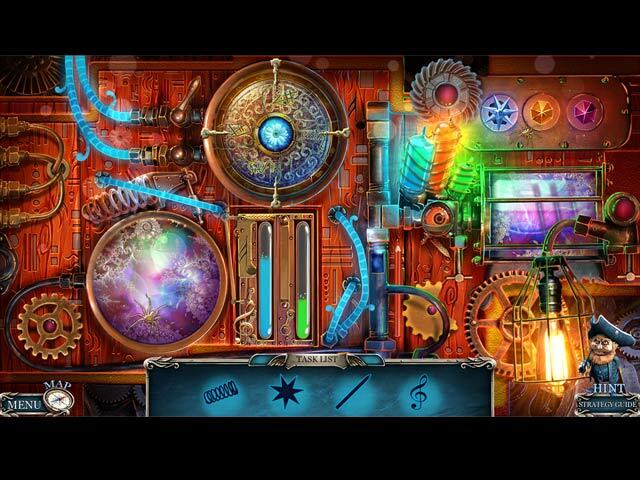 Rated 3 out of 5 by rainworm from Happy End with many obstacles – magic, love and many puzzles….. The Royal Detective started out with Princess as a protagonist in the first game of the series, then abandoned her after the second, where she found a new and happy life. Now we meet her again, as she wrote us a letter. 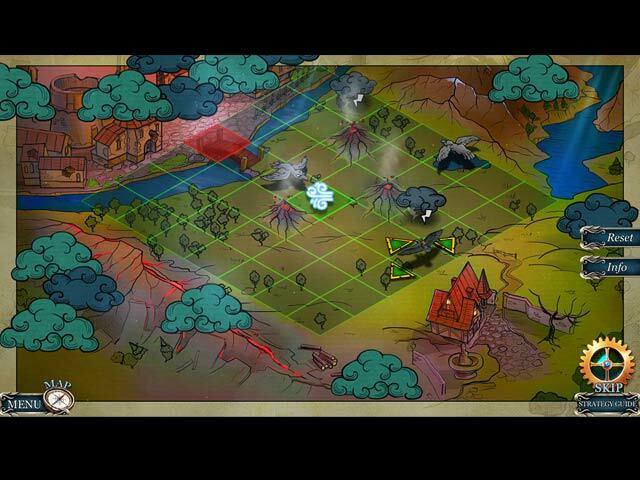 She needs our help in Stone Peaks, where she came to see her secret lover Prince. Nobody knows about him and she fears for him and herself. Together with the letter we receive out assisstant, Sheriff, Princess’ dog. Somebody with no good intentions, is after the statues, Princess’ old friends and allies. After various games without her, we are re-introduced to Princess story, and how she became involved with them. It is quite clear, that the statues are harmed in order to get closer to Princess and lay hands on her and her magical abilities. In the introduction we saw already a man, who intends to make use of these to gain the power, he wishes for. We play as the Royal Detective and in the course of the game, rescue one statue after the other and gather clues about who the villain could be. Of course magic plays a role and Princess and Prince should be united in the end. For me a bit weird storyline but the game is extremely well made. HOS as well as puzzles are variable, challenging and entertaining. Sheriff is a helper, but a discrete one. All in all, a strange story packed in great features, as the puzzles alone are worth playing the game. Rated 2 out of 5 by yowzasma from Quite Disappointed :( I am sorry that I did not enjoy this game, far too many mini-games for my taste. I read the reviews before buying it and I did try it first hoping it would get a little more interesting , but for me no such luck. I have 3 other of the Royal Detective and I liked/enjoyed them more than this one and also the last mini=game was the end of the game and I could not get the 'chips' to their location so I wound up skipping it, !! not happy !! I do not enjoy writing negative reviews because I'm sure the Dev. 's put their hearts in it. but this is for my fellow Fishies to peruse while contemplating buy or not. We all have different likes and dislikes and hopefully I'm one of a very few to not care for it.---- So I'm giving this one ** out of possible ***** on my personal enjoy-ability scale.----I will "recommend" this game at least for a trial..